Hey friends! It's Keeway from Kiwi Koncepts and I am thrilled to be here as a guest designer for today! I created a card featuring the Owl Rather Be With You set that was part of the latest release in August. 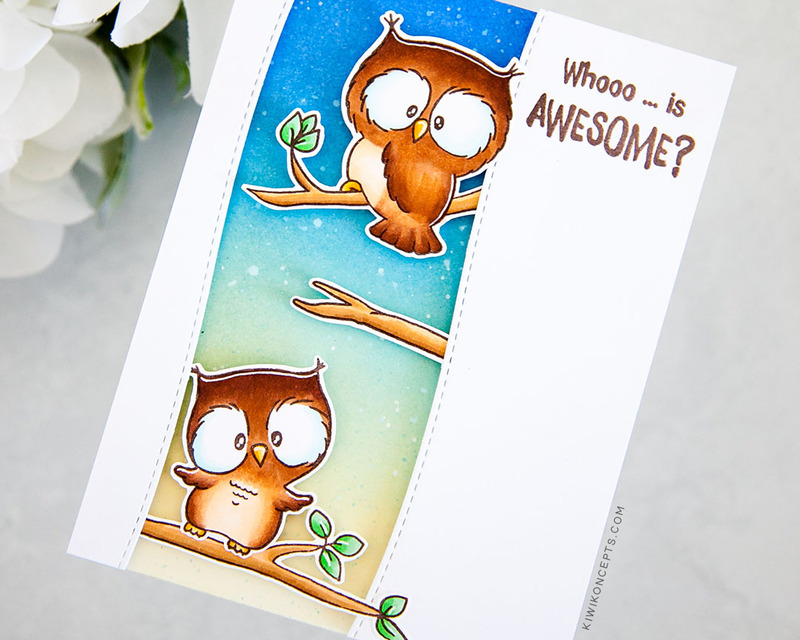 Seriously, how cute are these owls?! I stamped the images in a dark brown hybrid ink and colored them up with copic markers. Then, I fussy cut the images. Next, I blended a soft background using Blueprint Sketch, Broken China, and Antique Linen. I added a touch of splatter for texture. I bordered off the area with some white card stock that was also die cut with a stitched slope and stamped the first part of the sentiment in the top right corner. 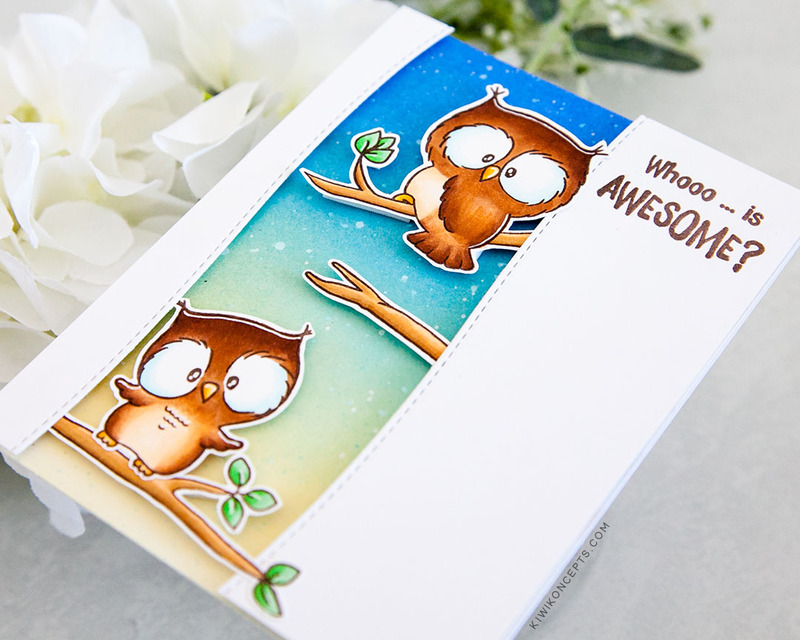 I added the branch and owls coming from the edges and added this panel to the card over foam tape. And finally I mounted this to an A2 sized base card, where I stamped 'You are!' inside to finish the sentiment when the recipient opens the card. This was such a cute set to play with! Thank you Gerda Steiner Designs for having me today! Wonderful coloration. Beautiful design ! Love this card and the colors used in the back ground. But most of all , I love the owl’s eyes!